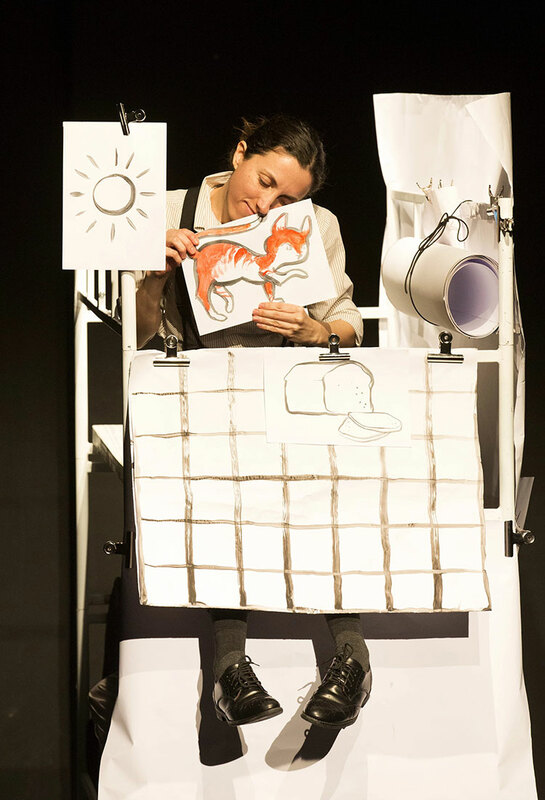 La Baracca Testoni Ragazzi from Italy present a family-friendly show about two peculiar characters. They each live on different levels, move along different sides, see things from different points of view, living life with their own certainties and fears, both scared but curious to meet the other. Then, one day, maybe by chance, maybe not, space turns upside down and points of view cross in an upturned place: a new, shared world where words told with the eyes and words drawn on blank sheets of paper become stories. The show is visually ever-changing, objects and spaces morph, revealing that the world is in the eyes of the beholder. This 35-minute unspoken show is perfect for children ages 2-7 years old.